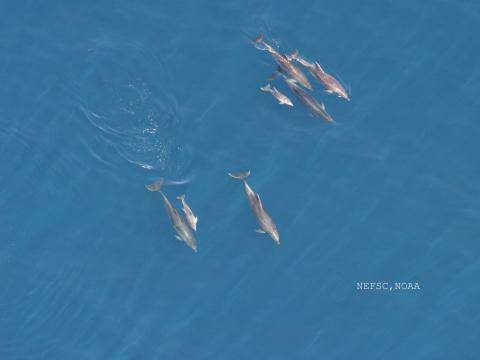 Scientists have created highly detailed maps charting the seasonal movements and population densities of 35 species of whales, dolphins and porpoises – many of them threatened or endangered – in the crowded waters of the U.S. East Coast and Gulf of Mexico. The maps, which are freely available online, integrate data from nearly 1.1 million linear kilometers of surveys and more than 26,000 sightings collected by researchers at five institutions over 23 years. “Though protected under U.S. law, many cetacean species still face persistent threats from accidental ship strikes, fishery bycatch, offshore energy development, pollution, climate change and underwater noise from human activities,” said lead researcher Jason J. Roberts, a research associate at MGEL. “Our maps give government agencies and other interested parties better tools to help protect these highly mobile animals and guide future ocean planning, including decisions about the siting of wind energy and oil and gas exploration along our coasts,” he said. The work appears in the open-access journal Scientific Reports on March 3. 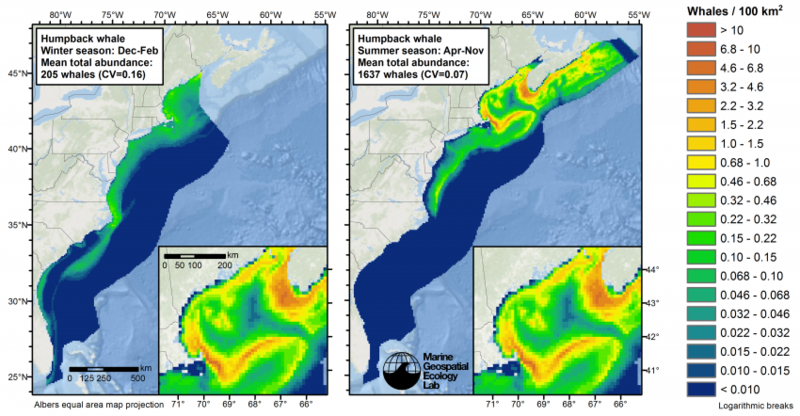 It is the first time such highly detailed maps charting cetacean populations densities and seasonal movements for these regions have been published in peer-reviewed literature. By analyzing and modeling how survey data and sightings related to environmental conditions such as water temperature and ocean currents, the researchers were able to create maps that display estimates of species’ population densities, region by region, on a monthly or year-round basis, and also track the seasonal movements of 11 species. Among other insights, the newly developed models confirm the importance of the continental slope as a seasonal foraging habitat for pilot whales and other large delphinoids, and the importance of underwater canyons and seamounts as habitats for beaked and sperm whales, Mannocci said. The maps also reveal high regional differences in population densities for harbor porpoises and small dolphins, and large seasonal shifts in the densities of migratory baleen whales. Recent developments have created an urgent need for this type of information, said Patrick N. Halpin, associate professor of marine geospatial ecology at Duke and director of MGEL in Duke’s Nicholas School of the Environment. The U.S. Bureau of Ocean Energy Management has proposed opening a large portion of the Atlantic continental shelf to oil and natural gas development, as well as expanding oil and gas leasing in the Gulf of Mexico, Halpin noted. The U.S. Navy has begun working on an environmental impact statement to assess the impacts of future training it hopes to conduct in the western North Atlantic. And the National Marine Fisheries Service is reevaluating the endangered status of regional populations of humpback whales and Bryde’s whales in U.S. waters. 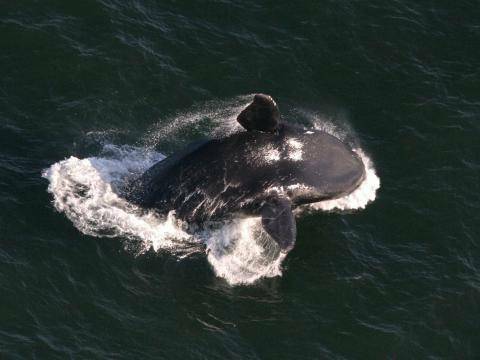 “Insights provided by these new maps can be very influential in shaping the outcomes of these decisions because population density estimates are used by U.S. government agencies to enforce the Marine Mammal Protection Act and Endangered Species Act,” Halpin said. The new models are already being used for regional ocean planning by the Northeast Regional Planning Body and the Mid-Atlantic Regional Planning Body. The maps will be updated regularly as new survey data becomes available, he said. Roberts, Mannocci and Halpin developed the new models with researchers from the University of California Santa Barbara; NOAA’s National Marine Fisheries Service’s Northeast Fisheries Science Center (NEFSC) and Southeast Fisheries Science Center (SEFSC); the University of North Carolina Wilmington (UNCW); the Virginia Aquarium and Marine Science Center (VAMSC); and other colleagues at Duke’s MGEL. Data used to construct the new maps came from surveys conducted by researchers at NEFSC, SEFSC, UNCW, VAMSC and the New Jersey Department of Environmental Protection. Principal funding for the mapping project came from the U.S. Navy Fleet Forces Command and NASA (grant ##NNX08AK73G).